Castle Group Ltd is one of the leading international group specialists in health and safety and environmental solutions such as sound level meters and vibration measurement equipment. We offer a wide range of technical instruments for health and safety at work and in the surrounding environment. We are a complete sales, rental, training, consultancy and servicing company, whatever your requirements, we can help. 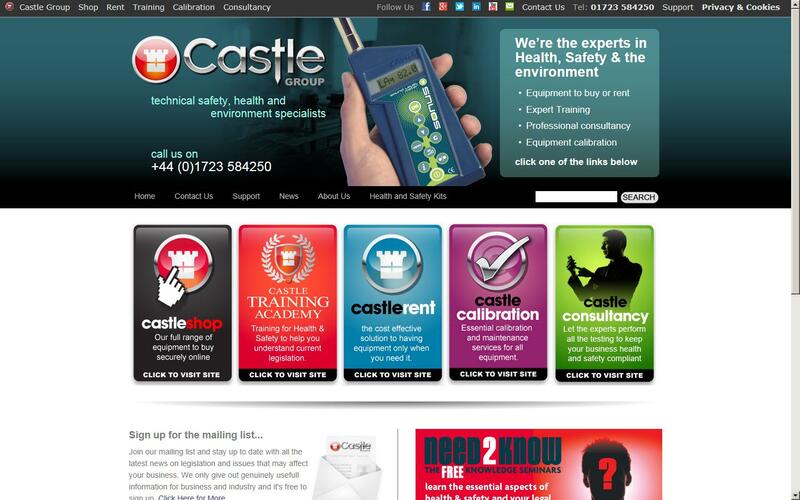 Castle Group have been producing a wide range of noise meters and vibration meters for over 35 years and now encompass products to cover all needs, along with a full calibration and service laboratory, a wide range of competent person training courses in noise and vibration, consultancy services and rental for times when cost is greater than budget. In addition Castle Group also supplies a whole range of health and safety products to cover any need, from light meters to dust and gas monitoring, health & safety publications to anemometers. Highly enjoyable and informative, a good useful course. Very informative course and was enjoyable.